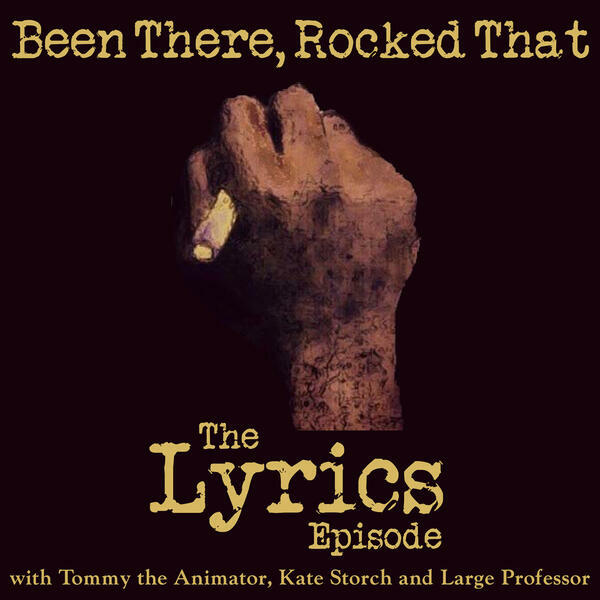 "Been There, Rocked That" returns as Prance Lo, Polo Pirata and Blake Loington are joined by Tommy the Animator, Kate Storch and Large Professor to discuss the "Lyrics" art exhibit. "Lyrics" fused the written works of legendary emcees like Large Pro, Ice T and Kool Keith with the visual works of Tommy the Animator to bring them to life in new ways ever seen before. The crew also got into the art of sampling, Large Pro talks about his history with Lo, and Tommy tells what happens when Ice T goes to the corner store.